Palaeogeographic maps are of great use in the biogeographic study of immobile terrestrial organisms, but less so when more dispersive groups are considered. Though the centres of evolution of more mobile organisms tend to be found on the larger land masses, they often interact and overlap along linking chains of small islands not assessed in palaeogeographic reconstructions. Analysis of such interaction requires further information on island arc formation at plate boundaries, good data on the current distribution of organisms, and a coherent, testable theory on the ecological and evolutionary development of biotas. 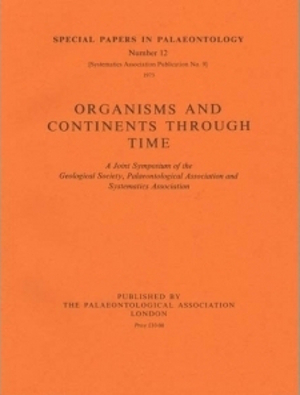 These problems are discussed with reference to the Australasian biota and to the biogeography of New Caledonia and Norfolk Island.